Winslow Developments and RREEF, the investment unit of Deutshce Bank are starting a new project in Bulgaria, via Winlsow Properties. The investment is expected to amount to 252 mln leva (128,845 mln euros). The project is a residential complex in the skirts of Luylin Mountain in a neighborhood of the town Bankya - Gradoman. Homes for 1,200 families will be built on an area of 150 decare, which has already been acquired. Residents of the new complex will be close to the mineral springs of Bankya and have direct access to the Luylin highway, currently under construction. The area is also famous with its beauty, and views of three mountains - Luylin, Vitosha and Stara Planina. A total of 45 mln leva (23.008 mln euros) will enter the budget in the form of taxes and fees. Another joint venture between Winslow Developments and RREEF - Limex City has already received a First Class Investor Certificate for its project Manastirki Livadi - East Winslow Gardens, where some 200 mln leva (102.25 mln euros) will be invested. The joint projects of Winslow developments and RREEF so far are expected to top 620 mln leva (317 mln euros) in value. Winslow Development was founded in 2001 with both Bulgarian and English capital. 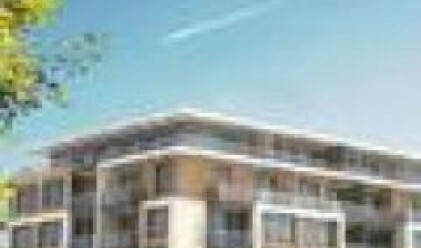 The company's core activity is investment in real estate projects. RREEF is a unit, responsible for development and management of investment projects in the field of infrastructure and real estate of Deutsche Asset Management, a global asset management division of Deutsche Bank. RREEF invests directly into commercial and residential buildings, shares of real estate companies, as well as in infrastructural projects in the field of energetics and transport, on the part of its institutional and individual investors.